Anyone who even tries these games earns Wiggins Bucks for their effort! Subtraction Action and Multiplication Station games in Pams Game Loft will let you earn 200 Wbucks every day for playing either of those games. Add Like Mad, the addition game pays 100 Wiggins bucks for daily play. Weekly winners for Subtraction Action and Multiplication Station get get double awards, 600 Wbucks for the top ten players, 2000 Wbucks for the highest score. Add like Mad pays 1000 Wbucks for the highest weekly score, 300 for the next nine high scores each week.If there is a math scores sweep where one player has the highest score for all math games in a week, that member gets 3000 Wbucks and becomes ineligible to earn Wbucks in the math games in the future. Enter original art. To earn Wiggins bucks, the art needs to have an equid (horse, mule or or donkey) in it. Original art is one way to earn your boarding fees. Email in your original art or photo. All art and photos published in Pony Pals Magazine will win 500 Wiggins bucks! All art or photos must be original, created by the member who enters. -- color or black & white art. Send in your original art. Art is published in Pony Pals Magazine, and every entry will earn 500 Wiggins bucks or more! All art must be original, created by the member who enters. Winner gets their blanket made and offered for sale at Kline's Hardware. Enter the next contest by sending in your blanket design. All art, photos, recipes and articles must be original. 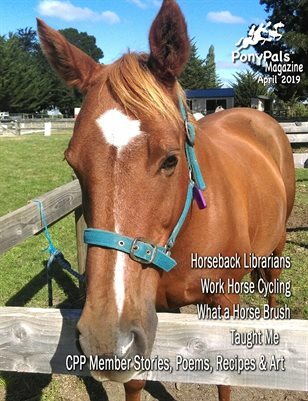 Stories and poems are published in Pony Pals Magazine. All entries must be original, meaning that the member who enters them must have written the text. To be eligible the story or poem must have a horse or pony in it someplace. All entries published in the Magazine will earn 500 Wiggins Bucks, the best stories and poems will earn 3000 Wiggins bucks and trophy for the writer. If you want a bookmark you must include a self addressed stamped envelope so we can send one. Please include your user name and the email address you used to register in your letter, too.